What April showers? Seattleites are soaking up the sun while enjoying top cannabis products from American Baked Co., Avitas and Pioneer Nuggets. American Bake Co.’s Tomato Basil and Spicy Cheddar soups are a surefire way to amplify your lunch. Simply add hot water and stir of a mind-blazingly good meal. Each individually packaged serving contains 10 mg of THC. We think American Baked Co.’s soups are an obvious companion while camping at Mount Rainier National Park. Stop stealing your girlfriend’s straighter and try Strawberry Kush rosin by Avitas. This sativa-dominant hybrid has a light fruity taste and provides an energetic, happy high. Strawberry Kush tests at 77 percent and is for $47 for a half-gram. We love taking dabs of rosin before dog walking at Saltwater State Park. Snoop’s Dream is a dream for smokers who love hybrids. This 60/40 indica is a cross between Master Kush and Blue Dream. Snoop’s Dream provides a relaxing, cerebral high and has a sweet blueberry flavor with a pine aftertaste. Snoop’s Dream tests between 20 to 25 percent THC. 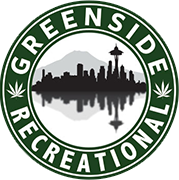 We love to smoke Snoop’s Dream while listening to Tha Doggfather at Alki Beach with friends.